A DUI or DWI conviction can have a significant impact on driving privileges and/or insurance rates. In terms of driving privileges, the length of a possible suspension or revocation may vary depending on a defendant’s previous record, and the discretion of the judge. The laws of the individual 50 states generally determine the driving privileges of a person within the state. Does this mean that a person can avoid the effects of a DUI or DWI conviction simply by going to another state? The answer is: probably not. 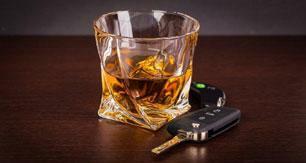 NOTE: Colorado DUI Attorney Jim Forslund may be able to avoid this problem for you. The Secret To Getting A Colorado Driver License If You've Lost Your License in Another State . There are a couple of agreements between a large number of the various states in the union that make it difficult to escape the penalties of a DUI or DWI conviction—namely the Interstate Driver’s License Compact and the Non Resident Violator Compact. This is an agreement among 45 participating states to share information regarding certain types of convictions, including drunk driving offenses, such as DUI or DWI. Georgia, Massachusetts, Michigan, Tennessee, and Wisconsin are the only states not belonging to the compact. Under the agreement if a person gets convicted of a drunk driving offense in another state in which he or she resides, the person’s home state will be advised. The agreement essentially means that, in the 45 member states, there is one driving record for an individual person. This means that if your license is suspended in one of the member states, it is suspended in the other member states as well. Driving privileges cannot then be reinstated until, the privileges are reinstated in the convicting state, or a hearing is held in one of the non-convicting states, and a hearing officer authorizes reinstatement. For example, if your license is suspended or revoked in another state, you cannot get an Illinois license. When you apply for a Illinois license, you are asked if your license is suspended or revoked in another state. If it is, you cannot legally get a license in Illinois until one of the following occurs: (1) You are reinstated in the other state; (2) You are authorized to reinstate and obtain a license after having a hearing with a Department of Revenue Hearing Officer. This is an agreement between some 44 states designed to achieve enforcement of penalties for traffic offenses in the various states. The only states that have not joined the compact are: Alaska, California, Michigan, Montana, Oregon, and Wisconsin. Under the agreement, a person who has not paid fines, or taken care of penalties for traffic offenses in another state, can have his license taken away, and/or suspended in the state in which he is driving—until the person’s obligations in the aggrieved state are met. Having the ability to drive a car is important for many people. Without a car, it is sometime hard to get to work and provide for a family. If you are concerned about protecting your driving privileges, it would be a good idea to hire a quality defense lawyer who understands the intricacies of DUI and DWI cases. Consider hiring one of America’s DUI and DWI Defense Attorneys now. The Alabama Department of Public Safety (DPS) now provides online access to driver records to approved businesses. Searching for a driver record is easy, just enter the driver’s license number and click "submit." Within a matter of seconds, you’ll receive the appropriate record. This service is faster and more convenient than phoning, faxing or visiting a Driver’s License office for a driver record. And, by saving the time and effort, you’ve saved money. In order to access this service, you must become an Alabama Interactive Service Subscriber. More information about this service and the forms required to subscribe can be found on the state of Alabama’s Web site at https://www.alabama.gov , under the "Online Services" section, Business Services. Or, contact Alabama Interactive Customer Service at (866) 353-egov (3468) or at customerservice@alabamainteractive.org . Arkansas driving records are governed by Arkansas code section 27-59-901 et. Seq. The statutes are more restricted in the release of information than the Federal Privacy Protection Act. Your records related to your drivers' license have been and continue to be confidential. They can only be released under certain exceptions. Those exceptions include when a release is given to you by others. The release must be signed and dated and include your name, drivers' license number date of birth and the name of the person whom the information is to be released to. This release will remain in effect for 5 years, unless you file a written withdrawal. You may obtain a copy of your record by either visiting our main office in Little Rock or any Arkansas revenue office. Revenue offices can only release driving records to the individual themselves. Our Little Rock address is Room 1130, Charles D. Ragland Building , 1900 W 7th, Little Rock , 72201. Our mailing address is Driving Records, Room 1130, P. 0. Box 1272 , Little Rock , AR 72203. There is a charge for obtaining a copy of your drivers license record in Arkansas . The fee is either $7.00 or $10.00 depending on the type of record you request. A $7.00 record is for an insurance type record and would generally be a three year record. A $10.00 record is for employment and commercial drivers and may contain information longer than the three year period. You may pay by personal check or money order made payable to the Division of Driver Licenses. For high-volume requests or corporate/business access to the driver license database, please click here . There are errors on my driver license record. How can I get them corrected? Contact our Customer Service Center at (850) 922-9000 to have the record reviewed. Corrections, if any, will be processed as quickly as possible. Effective June 1, 2000 , the personal information contained on all driving records will be closed. A person or entity may only access the personal information if they are exempt under the Federal Driver's Privacy Protection Act (DPPA) or they have obtained express consent from the record holder. Businesses will no longer be able to request personal information for the purpose of bulk mailings. The DMV records that are frequently requested are driver abstracts, registration abstracts, title abstracts, and accident reports. You can use form MV-15 (Request for Driver and/or Vehicle Information) to request many types of DMV records. You can use form MV-198C (Request for Copy of Accident Report) to request a copy of an accident report that a motorist or the police filed with the DMV. If a record that you need to request is not listed on form MV-15 or on form MV-198C, use form MV-15F (Freedom of Information Request Form). You can order your driver abstract on-line . You may request a certified copy of your 3-, 5-, or 10-year driver's record by mail or in person at any DMV service location. To protect the privacy of individuals, DMV does not provide driver's record information over the telephone. Bring or enclose documentation of your full name, date of birth, Social Security number, driver's license number (if it differs from your Social Security number), a photocopy of your proof of identification, and a check or money order payable to DC Treasurer. Driver's record fees are determined based on the report requested. You will receive a copy of your driving record immediately if in person or within 14 business days if by mail. The Federal Driver's Privacy Protection Act passed by Congress in 1994 and ruled constitutional by the U.S. Supreme Court in January of 2000 restricts access to Division of Motor Vehicle (DMV) records. The act is intended to protect the privacy of personal information relating to driver licenses and instruction permits, vehicle titles and registrations and identification cards issued by motor vehicle departments. A Vehicle/Driver Record Information Request Form MV2896 (16 KB), must be completed before information about a Wisconsin vehicle/driver record can be obtained. WisDOT will not provide most DMV records unless the records are obtained for one of the specific reasons listed on the Vehicle/Drivers Record Information Request Form. All record requests received by Wisconsin DMV must be accompanied by a $5 fee per record. 3 years of history for Moving violations, uninsured accidents, compulsory insurance violations, administrative per se & refusals, nonresident violator compact violations, and proof of financial responsibility withdrawals. 5 years of history for Driving under the influence, reckless driving, accident judgements, vehicular homicide, leaving the scene of an injury accident, a felony which is a result of manner of driving, and transporting liquor to a minor convictions and withdrawals. NOTE: If a 10 year history is required for your employer or other purposes, you must specifically indicate you need a 10 year record in your request.